The 100 Club was established in the late 1970’s as an alternative method of raising much needed funds for the club. The 100 members each pay an annual subscription of £12 to enter the monthly draws, with prizes of £25 on offer for eight months of the year and four quarterly prizes of £100. As well as raising money from the subscriptions, the 100 Club also runs a number of social events throughout the year, the most notable being the annual Burns Night celebration. 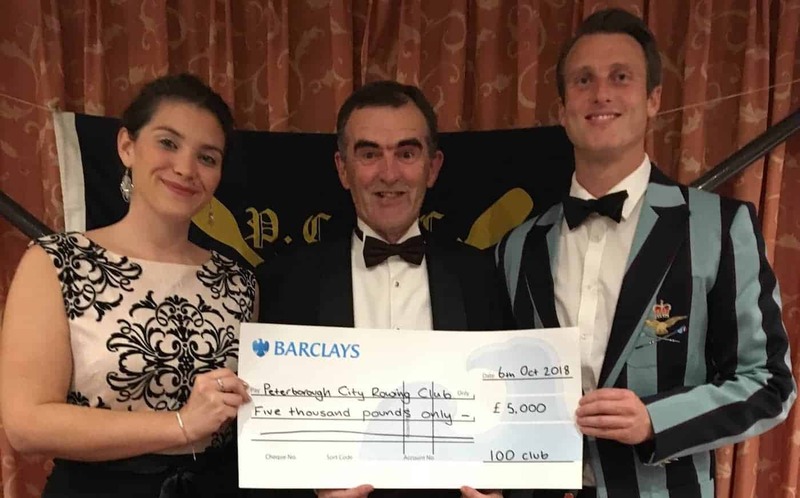 Since 2008 the 100 Club has donated £4,000 to buy Diamonds 4 Ever (4x) to mark the club’s 60th anniversary; £2,700 for the purchase of the Tom Agutter (2-), £5,000 towards the kitchen refurbishment and a further £9,500 towards the purchase of new boats. A total of £26,200. The most recent contribution was £5,000 towards the purchase of a new Filippi 8+ in 2018. The latest 100 Club Newsletter is available to view here. If you would like to join the 100 club or join one of their social events, please contact Veronica Winterton or talk to any of the committee members.